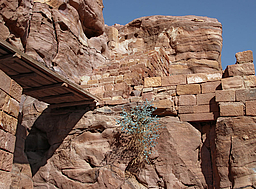 This trail goes up Jabal al-Habis, the hill behind Qasr al-Bint, first climbing the staircase that reaches the old museum which used to be housed in a Nabataean rock-cut structure. 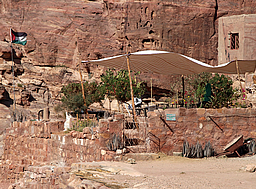 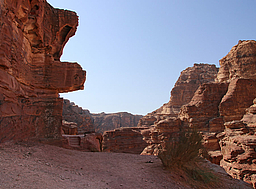 The trail continues surrounding al-Habis, reaching the tea shop of Bdoul Mofleh, one of the last permanent dwellers of Petra, where you can have a break in front of his cave house enjoying the scenery. 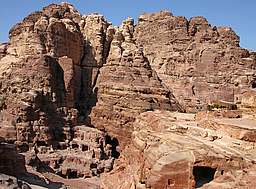 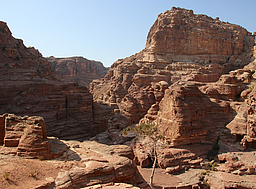 Before the trail becomes steep going up to the Crusader fort on top of the mountain, a wide plateau extends facing south, offering spectacular views of Wadi Farasa and Wadi Thughra, as well as of the city center and the Royal Tombs to the east. 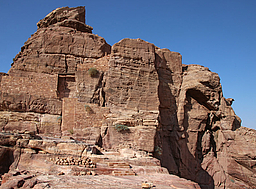 Although only the ruins of the medieval fort from AD 1115 remain today, in its original state it was an impressive construction built over Nabataean structures, located in a strategic position along the trade route from Egypt. 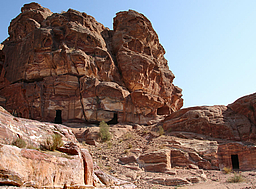 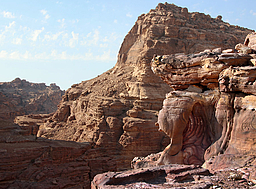 But from the southern plateau you can directly go down the stone stairs facing the city center, enjoying the view of marvelous multi-colored rock formations mixed with eroded architecture elements, until you reach the foot of the mountain behind Qasr al-Bint. 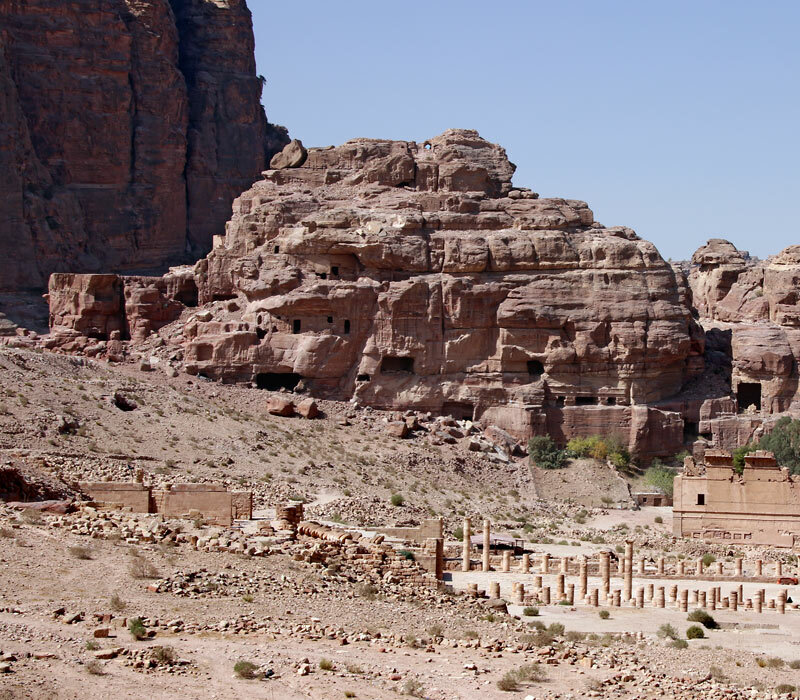 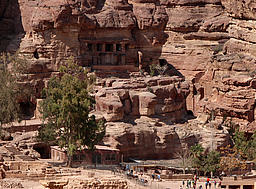 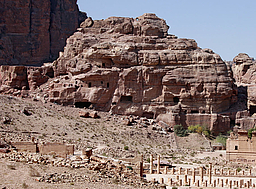 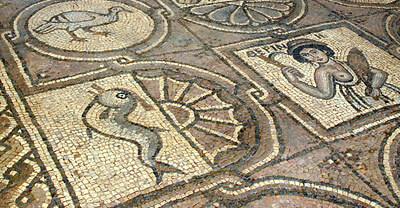 There, don't miss the bizarre monument full of niches called Columbarium, and the Unfinished Tomb, where you can visualize the carving process of the Nabataean masters.